Howard Alan Events is proud to announce an exciting change to our Art Festival Schedule! We are pleased to announce the San Marco Art Festival in Jacksonville on November 17th & 18th, 2012 on San Marco Blvd! Experience a taste of Italy right here in Jacksonville, Florida. 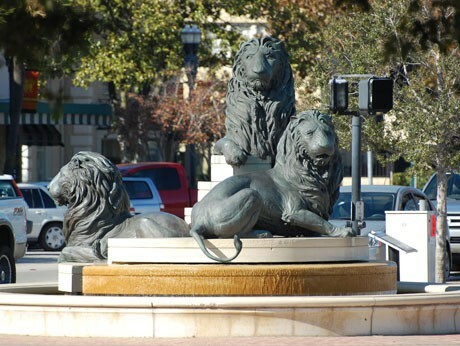 San Marco is a natural fit for a Howard Alan Event with a large number of public art, statues and monuments. San Marco Square, inspired by the Piazza di San Marco in Venice, Italy is home to art galleries, upscale gift shops and a wide selection of bistros and sidewalk cafes. This high end festival will return with the nation's most talented artists and fine crafters. San Marco Boulevard is home to great shopping and fabulous restaurants. Browse and purchase original handmade works including: glass, photography, painting, mixed media, fiber, jewelry and much more. Artists will be on hand all weekend to share their inspirations for each uniquely-crafted piece. Artists, sign up soon as this popular show will fill up quickly. Access our application at www.artfestival.com or www.zapplication.org.